Does 2013 + 3/12 years = 2016? That’s a question I’ve been recently posing to myself. I was recently going through my private prediction collection and found out that some of my predictions that I made for 2013 have been recently fulfilled this year. This includes the recent death of Cuba’s leader Fidel Castro and Lady GaGa headlining the super bowl. These events were slated for late 2013-early 2014 but have been or are being fulfilled for late 2016 to early 2017. Understanding base 7 numerology, 3/12 is the lowest divisible form of 7 and sometimes events can be fulfilled in the half way mark when they were not filled in the original vector instead. This leads me to believe that two events I foresaw for 2013 will be fulfilled by the end of the year. This includes the death of Queen Elizabeth II, something I’ve written before, and a major economic downturn. Watch for those two events approaching the end of the year. I also think there’s a chance that the Oakland Raiders will win the Super Bowl. It was paired with my Lady GaGa prediction back then and it could be fulfilled a few years later. What should have been 2013 events may become 2016, possibly 2017, events instead. I’ll let you know if anything else was in there that could be fulfilled soon at another time. Two of my previous warned celebrities for murder by the elite, Kanye West and Mariah Carey, are both in a serious downward spiral in the last month. 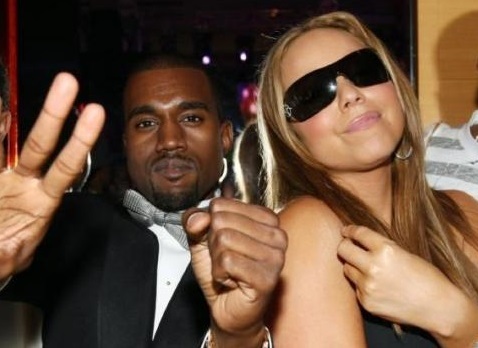 Kanye’s admission to a psychiatric hospital and Mariah’s appearances that give vibes of 2001 are alarming to say the least. Both could end up being murdered at the end of the year and should be carefully watched for in the near future. Both of them are in real danger and I fear it may be too late to save them. In regards to the post above, Kanye West was first on my murder target list for 2013. If that interval applies here, then he’s in danger of being shot and Mariah is in danger of a suicide/murder by the end of November to December. I hope I’m wrong, but the feeling of dread has spread in recent days. 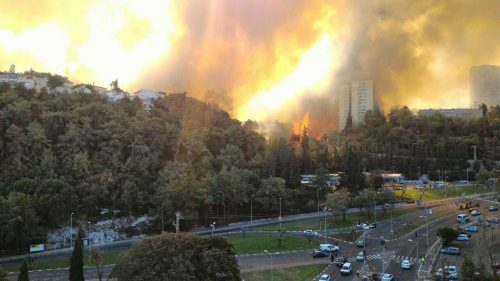 I got a very ominous feeling in regards to the recent fires spreading in Haifa, Israel. As I’ve previously warned, Israel as a Jewish state will likely be no more by 2018 or 2019. Trump’s election victory makes that even more likely with his hostility to Jewish people and Netanyahu’s prescription to overstep boundaries in a way that will create fresh confrontations with a potential Trump White House. While many in the Israeli Knesset would like to blame the Arabs or the Palestinians for the fire, the truth is it was done with the intention of evacuating settlers of the region in the hopes of salvaging a two state solution. Those who feel this will create a moment of peace in the region are sadly mistaken. This will only enflame the tensions between the Arabs and the settler movement leading to a moment where none of them win and subsequently lose together. It’s sad that it has gotten to this point, but there’s no salvaging the nation now. It’s on its way out and the death knell will come from those who most want it to stay as an exclusively Jewish state. 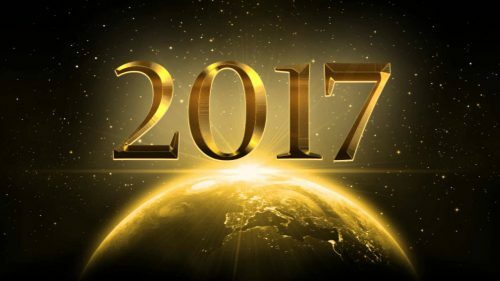 Finally, I also thought I should mention that I am beginning to work on my 2017 predictions. I am going to wait to release them until at least December 19th due to how the electoral college could thwart or severely alter many of my predictions. I’ll keep you posted in regards to that in the near future. Watch this space for them by then. Best wishes to everyone who has been reading this site. As I’ve previously stated, Donald Trump won the election. I may be the only psychic who called this and I’ve hinted at the reasons for why this happened in previous posts. Now I’m going to lay out everything I know and what can be done to rectify what has been unleashed so that the damage is contained in the near future. Much of what I’m about to write will come across as slightly insane, but it is the truth. There are other forces at work that made this happen. Understanding them is the key to how we get ourselves out of this mess. 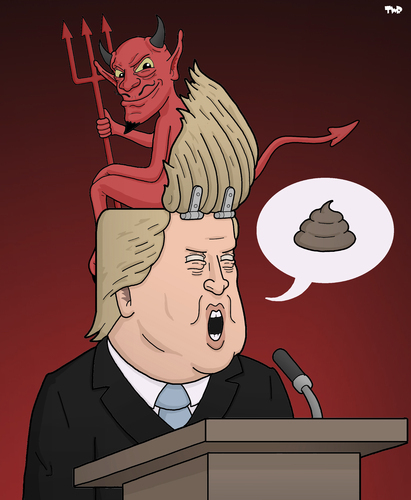 One of the most decisive moments in this race was Donald Trump’s deal with the devil. In early June of last year, the devil paid an astral visit to Trump in his headquarters in New York. 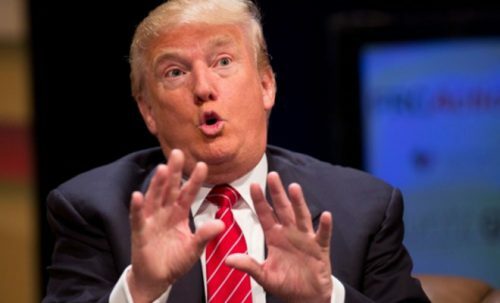 Donald had wanted to be president for years prior to this, considering serious presidential runs on at least three occasions, 1988, 2000 and 2012. Each time Donald thought about taking the plunge, he backed out at the last minute. This time, the devil paid him a visit that he had never received before. The deal was simple. Donald was to serve his will in exchange for handing him the keys to the White House. Donald wasn’t initially convinced that it was going to happen, but when he made the deal and began to see the waters of the political world part all around him, Donald began to realize his pact was cemented in blood. 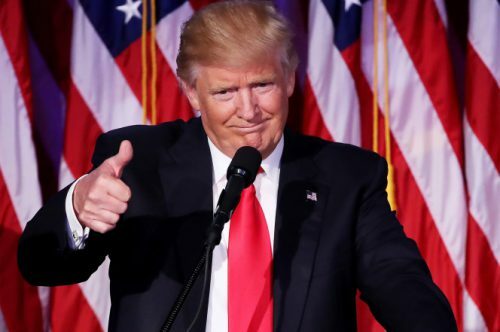 No matter how many times Donald thought about potentially breaking off the deal and did things to try to tank his candidacy, the results kept coming in his favor from the primaries beginning to end. He then made more brazen attempts in the general election to tank himself, but the devil worked hell over high water to see to it that any scandals were minimized and Hillary was ruthlessly attacked. No matter how much support the powers that be had for her, the devil’s will trumps all and it was shown to be the case by this election result. What the elite forget is that the devil they serve has the final decision making over all matters of theirs on Earth. The devil got what he wanted and we’re about to pay a price for it as a result. There is, however a real chance that Trump may not even make it to the White House. The Devil has panicked over Trump’s constant attempts to sabotage his own candidacy and is having second thoughts about giving him such vast control over an empire like the United States. I’m convinced, based on a dream I had two nights ago, that Trump is going to be done away with because he’s beginning to break from the devil’s plan on some very key areas. Those include inciting violence in Israel, tanking the world’s economic markets and setting up death camps for marginalized communities. The fervors leading to these actions have begun to emerge, but Donald is having cold feet and developing a bit of a moral conscious at the last second. 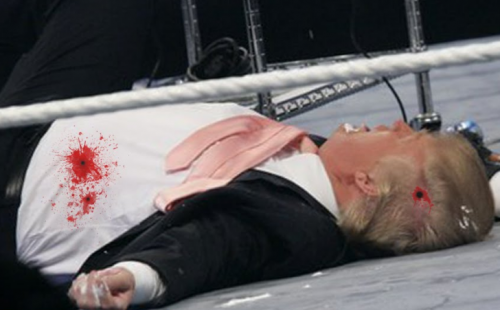 As a result of his unwillingness to go along with the whole agenda, the vision I had saw Trump assassinated by a man of Muslim heritage on the 30th of November. Two shots miss him, but one fatal one lands a blow to the head. I also see Mike Pence carted off which means electoral chaos and a problem as we enter the electoral college election. I may be wrong in this assessment, but I’ve been right before and I’m getting these visions pretty strongly now. While it remains to be seen whether he serves or not at all, the truth is we’re going to enter our nation’s darkest hour in the very near future. 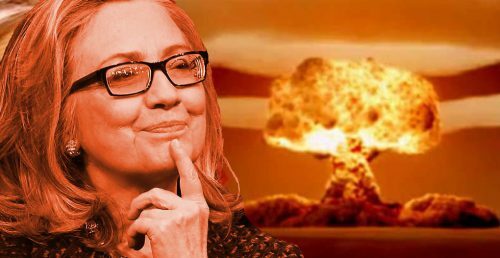 The other prevailing factor that came into play this election comes from my nickname of Nuclear Hillary. As much as many believe we are the only life forms in the universe, the truth is that we are not alone and that aliens have been among us for quite some time. They refuse to show themselves because of all of the hate that humanity has for others not like themselves still poses a problem for their assured safety. A revelation now would be a death warrant that they are not going to take, no matter how much they’d like to tell the truth. When humanity enlightens more and sheds itself of the divisiveness of hate, they will show the truth and we will know more than we do today. Until then, things will be in the dark for much of what is out there in the universe. I will tell you, though, that aliens (not Mexicans) had a large role to play in taking this election away from Hillary Clinton. After the nuclear bombs unleashed during World War 2 in Hiroshima and Nagasaki Japan, aliens came to Earth between the years 1949 and 1952 to make it very clear to the powers that be that humanity could not use nuclear weapons in military conflict ever again. 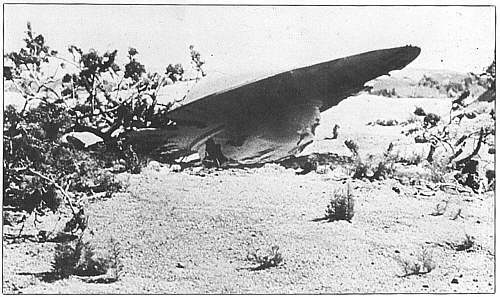 What was discovered was that energy from the bombs rippled throughout the universe and inadvertently effected the sustainability of other life forms on other planets. The aliens promised to stop anyone in power who threatened this anti nuclear weapon pact. 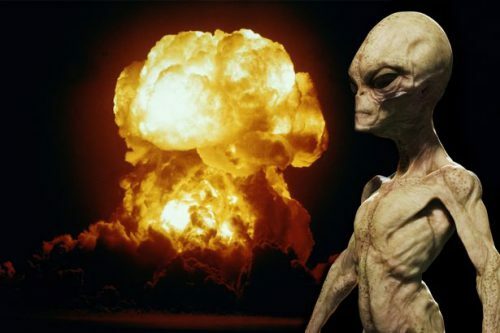 Many leaders have been taken down because of their likelihood of usage of nuclear weapons and many events that could have seen nuclear weapon usage was deescalated by alien force. It’s why Kim Jong Un is likely to be assassinated in the near future and why the bay of pigs invasion didn’t end with nuclear weapons fired. Hillary Clinton became the latest casualty of the aliens because she would not comply with this no nukes rule and they rigged it against her as a result. She won the popular vote, but faulty election counting assured that she could not win where it mattered most; the electoral college. They are sad for what humanity will have to endure as a result of Trump’s win, but the aliens have to weigh the interests of those outside of our planet and with other life forms on this planet with people living here in civilization. In that scenario of lesser of two evils, Trump takes the win, no matter what detriment may come about. I do need to stress something important to those who are stressing about supposed differences between Hillary and Trump. When it all comes down to the wire, they are all just the same. They all run in the same social circles and support their own self interests above all else. No matter who won the presidency, the working classes (meaning the vast majority of the readers here) would not have an actual voice in the White House. The problem with US society isn’t one candidate or political party but a structural deficiency that needs to be upended by violent force if necessary. This election, in some ways, is a blessing in disguise to making people realize who really runs the world and what it really takes for us to truly be free. Revolution is the only way to make the world a better place. Many of you will have to be willing to risk your lives to see this dream come about. Your forefathers have fought for this before and the task is upon you to engage with the same sort of fight in the present. The question really comes down to whether you are willing to fight for that freedom. That’s the question you all must ponder to yourselves. When you come to the correct conclusion, a governmental overthrow follows and freedom reigns supreme throughout much of the world. Finally, I would like to hasten you to not despair. Things will get better soon. Once you all finally get ready to put up the fight that you’ve needed to years ago, the world will begin to come to a place (temporarily anyway) of peace. It’s not too late to see this vision come about, but you should take some decisive action in the next few days. Humanity counts on it. Nearly every other psychic across the internet and the world said this was in the bag for Hillary Clinton. Everyone except me. I’ve said from the beginning that when Donald Trump made a pact with the devil in June of 2015, it was going to alter the trajectory of the race. No one wanted to believe me and yet here we are. I thought there were moments that he would be stopped, but all of the potential challengers I knew could take him down failed to materialize. Instead, we are left with a nightmare scenario in a number of ways (not that Nuclear Hillary would have been ideal either). I’ll explain what comes next at another time, but this should show you why I’m not some flaky psychic after all. I’ll start this one by saying I really pray that this doesn’t happen. Also, I’ve written about all of this before, so it is just a reminder based on a series of recent events that I have noted. Yesterday I awoke to a phone notification from a local mainstream media news app (Houston’s Channel 11 News) that said that government intel warns of a terror attack planned by ISIS (Or whatever they call it now) on Monday. The governor of Texas, Greg Abbott likewise gave a warning about this terror attack planned by ISL for Monday. I’ve been warning of terror attacks and this period of time (from September 2016-January 2017). I have to admit I’m afraid of the upcoming week and some of my more grave predictions coming true starting next week and then the following weeks. Last night as I was sleeping I dreamed about when I had read that pamphlet that they have in Texas public schools about a response plan to terrorism attacks on schools, whether they are shooting, bombs or biological/chemical. I posted about this one- about how I made a video about an upcoming false flag and youtube censored it immediately. So, if a terror attack happens next week I believe it is a planned government attack (by the NWO). It is a false flag designed to delay the elections and geared toward martial law. I also mentioned (years ago) that I had conflicting dreams about a horrible Hillary presidency and also Obama having a third term. I’m still not clear on which nightmare is worse really— and I hope they don’t happen. In my dream last night I was first reliving how I read the Texas Preparedness for Terror Attacks in Public Schools pamphlet, made that video commentary warning of the false flag and then it was censored. Then I relived getting the phone alert about a terror attack planned for this Monday in election week. Then, a voice said put it together, the clues are all there and it’s obvious what they are planning— they’ve told us the plan already. If next week goes to hell here in America, it is the warning sign that civil war and world war and next to come. I hope that there are Oath Keepers and Whistle blowers that blow the lid on this false flag attack on our schools. 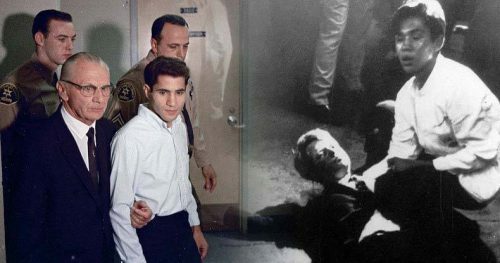 I can’t believe the audacity of the Obama Administration to go into Texas, send Al-CIA-DA mind controlled freaks to make terror attacks on gun free zones in public schools— and then use this ‘terror’ propaganda to then put in gun control and gun confiscation and martial law. Hillary and Obama are the heads and main leaders of these creepy terrorist groups ISL or ISIS or AL-CIA-DA. Announcing their intel ahead of time about election week terror attacks, having drills in Texas for gun confiscation and martial law, making a terror response plan for Public Schools…..it does seem obvious what Obama and Hillary are planning. Sorry about the scattered nature of my writing in this post. I just hope that the right individuals can stop these false flags from happening next week. Let us all pray that the people who wish to do terror attacks in America are stopped and all those involved are put to justice. Let us hope that there are armed guards wherever those terrorists try to attack. My advice is next week avoid malls and areas where there are large groups. Be aware. If you hear of some kind of terror event unfolding try to get home. Don’t go to far away from home. Also, if Texas Public Schools have an attack— know damn well who is responsible for it— that is the NWO creeps who control puppet Obama and puppet Hillary. The entire point of it is martial law and gun confiscation for the NWO— and to obliterate every last drop of freedom in our country. PRAY for peace, justice and good people to stop these evil plans. I have one for now and more to follow in the future. 1) I’ve been having more dreams of nuclear holocaust and the damage it does recently. It appears we are flirting on the edge of ruin. I hope common sense prevails before its too late. 2) Election day is going to see a lot of security slip ups and violence throughout the country. Try to avoid crowds on that day and go to the polls, if you’re going, when turnout is low. 11/5 ETA: Very vivid dream last night that was worth sharing. 3) I had a dream that I was a passenger on a cruise ship and it was hijacked by ISIS or another Islamic terror group. Many people were initially murdered and the ship starting veering off course. As the ship approached the dock, I decided to separate myself by jumping off the edge and landing in the water. I swam to shore and then it took me a long time to reunite with my party (which I eventually did). The vision seemed to be taking place in a south east Asian country like Malaysia or Singapore, but any country around there like the Philippines or Vietnam or even southern China could be applicable. The attack occurred on a civilian cruise ship which means a major one that travels in that area and with lots of tourists on board. The weather was relatively warm still, so this may either happen in the near future or in the spring of next year. Worth watching out for just in case. 11/10 ETA: After my whopper of a correct prediction on Trump, I have some others to share below. 4) If the country isn’t overthrown in the next 4 years, then the Democratic primary will see three or four contenders jockeying over an extended period of time to get the nomination. Andrew Cuomo, who I’ve told you all to keep an eye on in the past, becomes the immediate frontrunner, but is surpassed by a woman who Bernie Sanders supports after scandal takes him off his peg. She will be the nominee after a very bitter and vicious protracted fight. Three women to watch are Nina Turner, Tulsi Gabbard and Zephyr Teachout. Cory Booker also enters the fray but drops out after a major upset loss in the Iowa caucus. There may be one other person, but I’ll have to work that out at another time. A lot of this is presumptuous, so take it with a bit of a grain of salt. 5) The economy is going to crater at the end of next month. It has been artificially held up to help Hillary Clinton. With her loss, the chips will finally fall as they will. 6) Hillary and Obama are going to exit the country early next year after it is made clear indictments towards both of them are coming. They will never return to the US and will be seen as heroes to the left, not rightfully so. 7) Hollywood is going to see a major shakeup in the near future over which stars rise and fall from prominence. More conservative names will take shake while a lot of Hillary’s supporters will come to regret that decision with her defeat and their career setbacks coming along with it. 8) I have previously written about Australia, home to a negative troll that eats at our energy and where I correctly said an Abbott August would lead to his ouster for a new Prime Minister, Malcolm Trumbull. Well, the problems in Australia are about to get worse yet again. Due to their inability to pass a marriage equality law in the parliament, I am seeing a major backlash in lieu of the one that took down North Carolina’s governor Pat McCrory. By the time that the decade ends, Australia’s economy will be reeling so badly that they will be begging to have the law passed as soon as possible. Much resentment to the gay community will follow, but relations will return back to normal by the middle of the next decade. 11/15 ETA: Some more dreams and predictions. 9) I did some chakra readings on three people last night before it drained my energy and made me pass out. The first was Trump. He had a perfectly straight chakra until it bent backwards and hid under some kind of tail shape. This means that not all of with him will be what it seems and he is hiding his true motives. They’ll come out soon enough as journalists dig deeper into his cabinet. The second is Hillary Clinton. She had a straighter chakra with a bent curve to the right in the middle. This means that she hasn’t completely accepted defeat and is willing to stir up trouble in an attempt to take back the White House. Watch for her moves in the near future. The final chakra was Mike Pence. His was wavy which indicated to me instability and he is even more off his mental rocker than Trump. He has some demons that will unleash themselves in the near future. They may even unleash themselves before the dirt on Trump comes out. Which leads me to my next prediction. 10) I had a dream that Mike Pence was on a wooden boat fishing in the middle of the ocean. Underwater, there were hundreds of fish swarming his boat. When Pence caught a fish on his tackle, the creature was so large that it forced him overboard and proceeded to see him eaten by the fish below. This indicates to me that a scandal in regards to China or the environment overtakes him and forces him out of the White House in the next few months. It may even be possible that he’s forced out before Trump is. 11/23 ETA: A few more predictions. 11) I had a couple of celebrity related thoughts to share below. The first is about former early 2000’s singer Willa Ford. She’s a name many will not remember, but she had a string of top 40 hits at the time and then disappeared off the radar after that. She is someone who should be careful about a potential reemergence into the spotlight next year, particularly if her vehicle of choice is a reality show. This is because in 2007, she starred as the late Anna Nicole Smith in a TV movie and that binding role weighs heavily on her in terms of a potential early death at the age of 39 in 2019. This is the same age Anna Nicole Smith died of in 2007 and it’s something she needs to watch for as more exposure makes her more vulnerable than ever. 12) I know that Megan Fox is an avid follower of psychics and this is a message for her. She should not attempt any serious acting roles in 2017, no matter how juicy or tempting they may be. This is because the performances will be met with poor reviews and she will suffer from a potentially fatal depression as a result. She should instead reemerge in a humanitarian capacity in 2018 to fill in the void for a potentially soon to be late Angelina Jolie. This would provide a life of meaning and a sense of fulfillment she couldn’t get otherwise. 13) I predicted in a private writing of mine that Angelina and Brad would divorce this year. What is interesting is that a friend of our website, Michael McCllelan, has written a post on a potential untimely death of Angelina Jolie in 2018. I haven’t foreseen this personally and have a hard time believing it. However, he has a very strong track record and predicted Princess Diana and Benazir Bhutto’s deaths in the exact month and year. He should be taken seriously so it is worth a read. It’s something to watch for in the near future, especially if news on her starts getting more negative and hostile in the near future. 14) Finally, there are currently attempts to undermine Donald Trump at both the electoral college level and through a potential vote audit. Both could prevent him from getting to the White House in January and should not be overlooked.